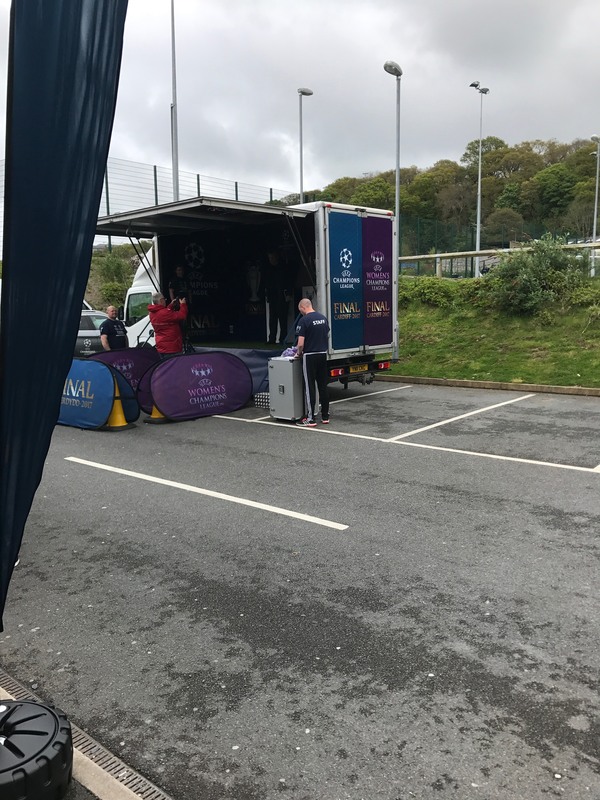 With European footballs biggest club competition, the Champions League Final, just 40 days away, ‘Old Big Ears’ made a stop by the Bangor University Stadium on its journey around Cymru. With Cardiff hosting both the men’s and women’s finals this year, the two trophies awarded to the winning teams are touring the country to celebrate what will be a very special and unique footballing occasion. 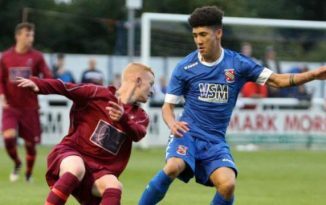 Fans will get the chance to grab a free photo with both trophies and commemorative wristband at Bangor City’s ground this afternoon until 7pm, with the chance for juniors to participate in a session on the clubs 3G pitch from 5pm. After today, it will head off to Llandudno and visit other regions each day until the 9th May. 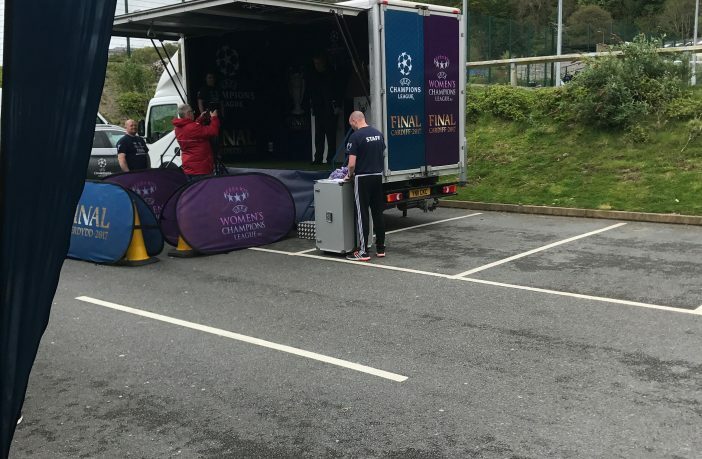 The Women’s Champions League Final will be contested on Thursday 1st June, kick off at 19:45pm at the Cardiff City Stadium, two days before the Men’s Champions League Final on Saturday 3rd June, kick off at 19:45pm, in Wales’ national Millennium Stadium.